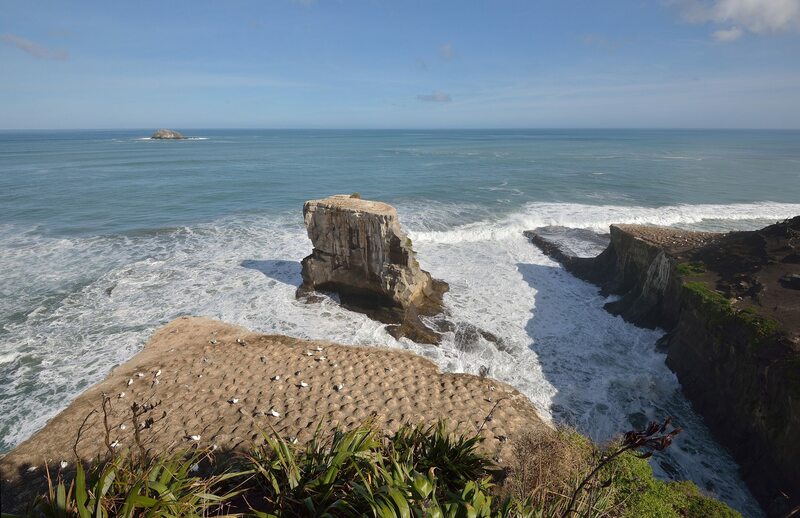 Directions: Head out to Muriwai Beach when you reach there you follow the Cliffs South to the well sign posted area. If you are in Auckland between August and March this is a very busy noisy place. 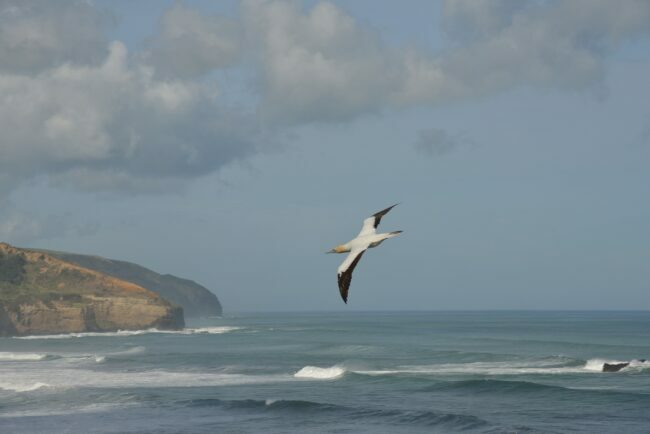 You see here the late comers (Sadly i was here April) normally this whole area is full of Gannets. On a strong windy day you have to be able to put up with the smell as the wind blows it right to you from the West. This is a gated park hours between the hours of 7:30 am & 7:00 pm so you need to check your time or the gates to the car park will not be open. If you love birds in flight this place has all the right elements wind , background and sunny aspect Birders paradise. This place can get very crowded with tourists in peak season when the buses come in so its best to be early or patient for them to leave. I first learnt about DX crop on FX while i was here no time to change lens just shoot as fast as you can. Best to get the big lens out here i used my 150-600mm Tamron and 24-120mm F4 Nikon on DX crop, learn how to use it shooting birds saves time changing lens. You get the chance to catch birds flying in the wind, them feeding of the chicks, taking off and landings. The whole area is worth walking about as there are a lot of tracks you have the big surf beach of Muriwai to the right. This place can get very crowded with tourists in peak season when the buses come in so its best to be early or patient for them to leave. Waves here are huge when the winds are from the West worth a walk down to the point an look at the blow hole to the right.